Ball Aerospace has been selected to continue work on the Space Evaluation and Analysis Capability (SEAC) testbed for the second phase of the Air Force Research Laboratory (AFRL) and Defense Advanced Research Projects Agency’s (DARPA) Hallmark program. Artistic rendition of the Hallmark program. Image is courtesy of DARPA. The Hallmark program is advancing technologies that deliver real-time space-domain awareness informing the command and control and protection of space assets. As part of the Hallmark program’s second phase, Ball will collaborate with a set of independent software development teams and conduct three additional evaluation events in which the company will run mock space operations exercises to evaluate software tool performance. During the first phase of the Hallmark program, Ball completed five successful evaluations of the testbed. Under the Hallmark program, Ball is working to streamline this process, bringing essential mission capabilities into operations faster than ever before. Ball’s approach to the SEAC testbed design eliminates the single-contractor integration bottleneck in traditional acquisition models. This modern software development practice succeeds by enabling external tool developers to rapidly design and test capabilities in an operations-like environment without risking system security or stability. Steve Smith, VP and GM, Systems Engineering Solutions, Ball Aerospace, said the company’s revolutionary open architecture approach brings commercial capabilities and best practices like rapid integration of new services and secure DevOps to the Department of Defense. Ball Aerospace looks forward to continuing the successful demonstration of the firm’s enterprise software architecture’s capabilities during the second phase of the Hallmark program. With 30 years of experience developing unique and accurate exploitation algorithms for satellite systems, Ball understands the challenges of integrating new features into operational systems. Military commanders responsible for situational awareness and command and control of assets in space know all too well the challenge that comes from the vast size of the space domain. The volume of Earth’s operational space domain is hundreds of thousands times larger than the Earth’s oceans. It contains thousands of objects hurtling at up to 17,000 miles per hour. The scales and speeds in this extreme environment are difficult enough to grasp conceptually, let alone operationally, as is required for commanders overseeing the nation’s increasingly critical space assets. Complete and timely information is vital to a commander’s ability to react to events in space that may threaten critical and costly assets. Current space domain awareness tools and technologies were developed when there were many fewer objects in space. Only a few nations could even place satellites in orbit, and those orbits were easily predictable without advanced software tools. That situation has changed dramatically in the past decade with a developing space industry flooding once lonely orbits with volleys of satellite constellations. Despite this much more complex and chaotic environment, commanders with responsibility for space domain awareness often rely on outdated tools and processes—and thus incomplete information—as they plan, assess, and execute U.S. military operations in space. 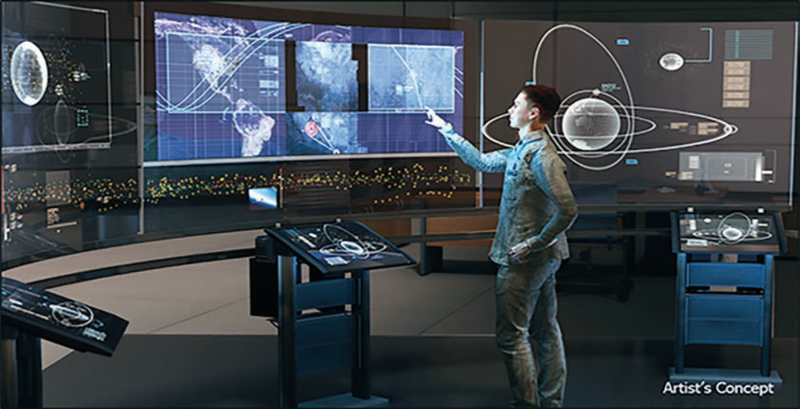 A state-of-the-art enterprise software architecture would support the ability to model current and future space situational awareness and command and control tools, capabilities, subsystems, and systems, as well as external interfaces to air, cyber, land, maritime , and command and control environments. An advanced testbed featuring playback and simulation capabilities would significantly facilitate research and development activities, experiments, and exercises to evaluate new technologies for their impact on space command and control capabilities. The testbed would be used to expedite the creation and assessment of a comprehensive set of new and improved tools and technologies that could be spun off into near-term operational use for the Defense Department’s Joint Space Operations Center (JSpOC) and Joint Interagency Combined Space Operations Center (JICSpOC). Kratos Defense & Security Solutions, Inc. has commanded an on-orbit spacecraft using the U.S. Air Force’s Enterprise Ground Services (EGS) framework. early orbit, on-orbit and anomaly resolution operations. The Kratos demonstration supports the U.S. Air Force’s strategic approach to implementing a common, service-based satellite ground infrastructure that will evolve current satellite ground systems into a single platform. EGS is a critical enabling technology that is focused on a sustainable, resilient space architecture that can respond to emerging threats and protect space-based assets. 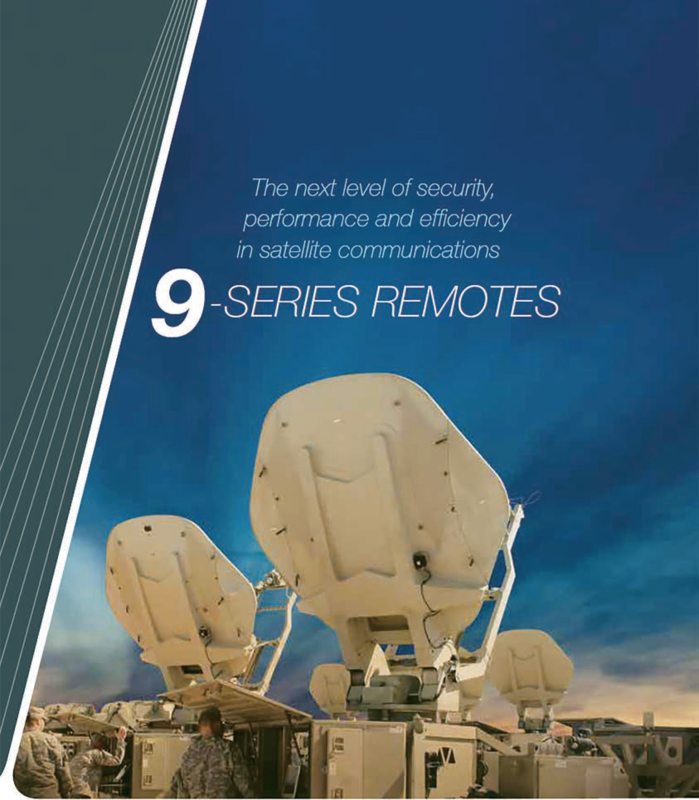 These included the EGS service paradigm and dynamically allocating satellite ground resources and executing deployment automation with the ability to spin up new satellite command and control instances in less than 10 minutes. 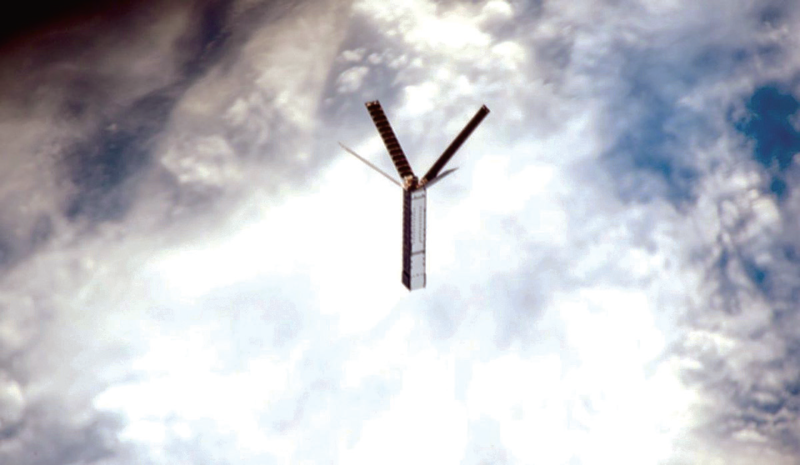 Artistic rendition of the Altair Pathfinder satellite. Image is courtesy of Millennium Space Systems. Leidos has been awarded their first task order by the U.S. Army under the $37.4 billion Responsive Strategic Sourcing for Services (RS3) Contract Vehicle. The task order is to provide customizable fielding, modernization, and support services solutions for the total package fielding and logistics of new and existing Army computer and communication technology, weapon systems, and equipment. The single award, cost-plus-fixed-fee task order has a one-year base period of performance, four one-year option periods, and a total ceiling value of $278 million if all options are exercised. 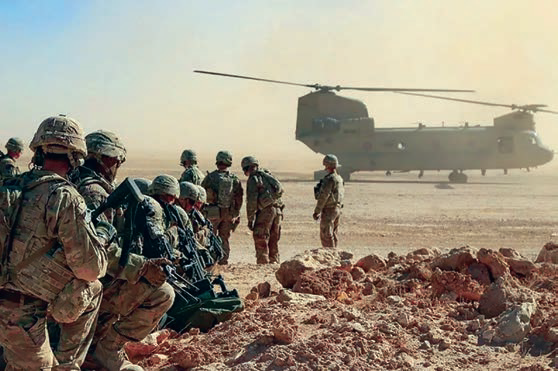 Warfighters by providing high-quality solutions tailored to a military unit’s fielding and operational requirements. The company’s experts maintain, set up, and configure each unit’s equipment and systems and then deploy mobile fielding teams with the hardware to the units to perform various tasks associated with a total fielding modernization concept. Additional areas of support include engineering, research, development, test and evaluation (RDT&E), logistics, acquisition, and strategic planning. 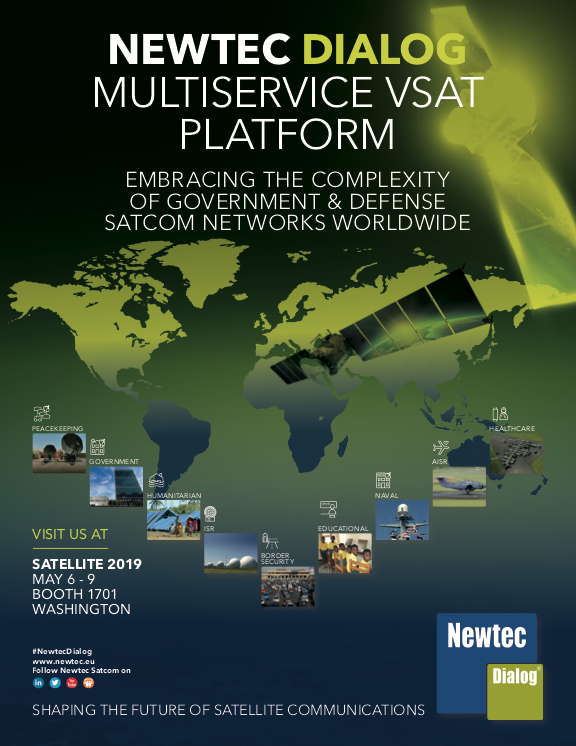 iDirect Government (iDirectGov) has received Wideband Global SATCOM (WGS) certification for the company’s 9-Series Defense portfolio of satellite routers and line cards operating on Evolution 3.4 software. The new U.S. Army certification (18-004), along with certification 18-001, confirms that all Evolution 3.4 hardware and software will operate on the WGS constellation with no performance certification restrictions, enabling enhanced military communications. The certification includes the 900 Satellite Router board, 9350 Satellite Router, the 950mp, 9050 OM, Tactical Hub and DLC-T and DLC-R line cards. The 9-Series Defense products underwent stringent evaluation and testing as part of the U.S. Army’s certification process. The WGS certification ensures that iDirectGov’s 9-Series Defense products work effectively with WGS to support military missions. The new WGS certification builds upon iDirectGov’s existing high-quality certifications that include TL 9000 and ISO 9001:2008 quality certifications. These recognitions validate its demonstrated ability to provide the highest quality levels of design, development, production, delivery, installation, and maintenance of information and communications technology products including hardware, software and services. 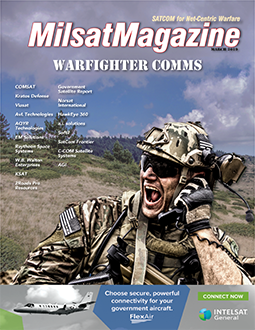 The WGS supports the Department of Defense (DoD) by providing MILSATCOM worldwide at no additional cost to the services and provides Beyond-Line-Of-Sight (BLOS) reach-back and in-theater communications capabilities to the military’s operations worldwide. John Ratigan, President of iDirect Government, said the new WGS certification validates the company’s 9-Series Defense line and Evolution 3.4 as the ‘go to’ communications solutions for military communications requirements worldwide, and the company is committed to play a part in keeping the military connected as they defend the nation. John continued by stating the WGS certification confirms what customers know — that iDirect Government is dedicated to delivering high-quality military satellite communications solutions to ensure that those deployed in the field have critical clear lines of communication needed for mission success and system reliability. John concluded by stating that this newest certification highlights the effort of our engineers who have worked to bring the latest technology to the market, earning this recognition. Aon plc (NYSE:AON) has released their 2019 Cyber Security Risk Report which details the greatest cyber security threats and challenges organizations are currently facing, discusses that as companies continue to use technology to speed up the transfer of information, game-changing business opportunities are created, as well as increased cyber risk. The “What’s Now and What’s Next” report focuses on eight specific risk areas that companies may face in 2019. The risks illustrate how, as organizations transition to a digital-first approach across all transactions, the attack surface of global business expands rapidly and sometimes in unexpected ways. In other words, thanks to the rapid enhancements and constant changes in technology, the number of touch points that cyber criminals can access within a business is growing exponentially. While technology has revolutionized the way organizations today conduct business, broader and wider-spread use of technology also brings vulnerabilities. From publishing to automotive, industries are facing new, evolving services and business models. These new opportunities however, bring with them a radically different set of risks, which organizations will need to anticipate and manage as they continue the digital transformation process. Two prevailing supply chain trends will heighten cyber risks dramatically in the coming year: one is the rapid expansion of operational data exposed to cyber adversaries, from mobile and edge devices like the Internet of Things (IoT); and the other trend is companies’ growing reliance on third-party — and even fourth-party — vendors and service providers. Both trends present attackers with new openings into supply chains, and require board-level, forward-looking risk management in order to sustain reliable and viable business operations. IoT devices are everywhere, and every device in a workplace now presents a potential security risk. Many companies don’t securely manage or even inventory all IoT devices that touch their business, which is already resulting in breaches. As time goes on, the number of IoT endpoints will increase dramatically, facilitated by the current worldwide rollouts of cellular IoT and the forthcoming transition to 5G. Effective organizational inventory and monitoring process implementation will be critical for companies in the coming year and beyond. Connectivity to the Internet improves operational tasks dramatically, but increased connectivity also leads to new security vulnerabilities. The attack surface expands greatly as connectivity increases, making it easier for attackers to move laterally across an entire network. more significant. Organizations need to be better aware of, and prepared for, the cyber impact of increased connectivity. Employees remain one of the most common causes of breaches. Yet employees likely do not even realize the true threat they pose to an entire organization’s cyber security. As technology continues to impact every job function, from the CEO to the entry-level intern, it is imperative for organizations to establish a comprehensive approach to mitigate insider risks, including strong data governance, communicating cyber security policies throughout the organization, and implementing effective access and data protection controls. Projections anticipate that M&A deal value will top $4 trillion in 2018, which would be the highest in four years (IMAA Institute’s M&A Statistics). The conundrum this poses to companies acquiring other businesses is that while they may have a flawless approach to cyber security enterprise risk, there is no guarantee that their M&A target has the same approach in place. Dealmakers must weave specific cyber security strategies into their larger M&A plans if they want to ensure seamless transitions in the future. Increased regulation, laws, rules and standards related to cyber are designed to protect and insulate businesses and their customers. The pace of cyber regulation enforcement increased in 2018, setting the stage for heightened compliance risk in 2019. Regulation and compliance, however, cannot become the sole focus. Firms must balance both new regulations and evolving cyber threats, which will require vigilance on all sides. Cyber security oversight continues to be a point of emphasis for board directors and officers, but recent history has seen an expanding personal risk raising the stakes. Boards must continue to expand their focus and set a strong tone across the company, not only for actions taken after a cyber incident, but also proactive preparation and planning. 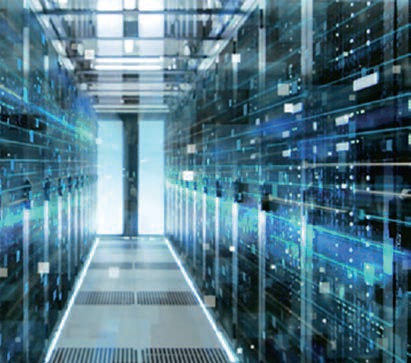 To learn more about the risks included in Aon’s 2019 Cyber Security Risk Report as well as to review the solutions offered by the company, please visit Aon.com. The French defence procurement agency DGA (Direction générale de l’armement) has awarded the RIFAN 2.1 contract to an industrial consortium headed by Airbus and also comprising the Naval Group and Rohde & Schwarz — this contract was signed for a maximum duration of eight years and up to a maximum amount of €150 million. The contract covers work to maintain and adapt the existing IP network for the French naval forces, RIFAN 2 (Réseau IP de la Force Aéronavale étape 2), to the needs of the Navy during the coming years, to integrate new ships and remedy hardware and software obsolescence. It will also enable the future front-line frigates of the FDI (‘frégates de défense et d’intervention’) program and the future replenishment tankers of the BRF (‘bâtimentravitailleur de forces’) program to be integrated into the RIFAN 2 network. The network adaptations will involve both its central architecture and an update of the cybersecurity incident monitoring and detection system. A total of 63 ships are equipped with the RIFAN 2 network, ranging from aircraft carriers and frigates to support ships, patrol craft based overseas and submarines. The purpose of the program is to equip French naval forces with a truly secure broadband network and is designed for exchanges of data of various classification levels, ranging from ‘Unclassified’ to ‘Secret’ between ships at sea and on-shore command centers. 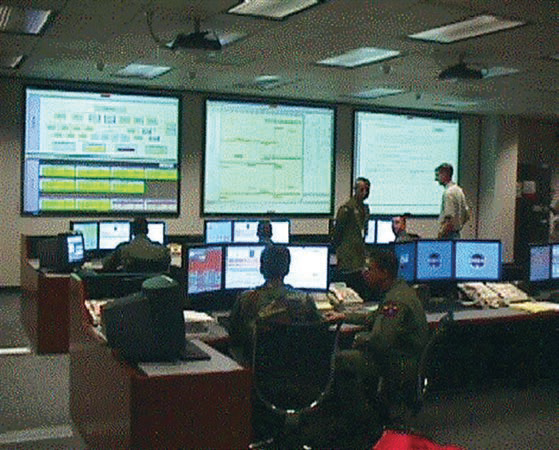 The network transmits data from applications specific to the coordination of carrier group operations and those dedicated to the daily and logistical management of life on board, such as those between information systems of theater chiefs of staff on board a vessel for the duration of an operation. Whether it’s a ship sailing alone or a carrier group, the various vessels are equipped to meet their respective connectivity requirements. The system is capable of combining several communication streams in order to optimize the use of the transmission capacity available at sea, which is, by nature, limited. It uses satellite connections, such as Comcept or Syracuse, and also radio communication systems allowing all-IP (Internet Protocol) exchanges between ships, with a range of several dozen nautical miles. The pilot of the rowboat Alba had a noble goal — to raise awareness and funds for the Scottish Association for Mental Health — and he was going to row 3,400 nautical miles, from Norfolk, Virginia, to his home in Scotland, to accomplish his goal. search and rescue training. Photo is courtesy of the U.S. Coast Guard. However, on June 15, 2018, when he faced life-threatening danger as his boat began to take on water off Nantucket, Massachusetts, he did the correct thing — he set off his Emergency Position Indicating Radio Beacon, called an EPIRB, and a NOAA satellite picked up his distress signal. First responders soon rescued him, about 39 miles off the coast. He was among the 340 people rescued within the United States and its surrounding waters with the help of NOAA satellites last year. Of those rescues, 219 were from the water, 32 were from aviation incidents and 89 were on land, using personal locator beacons, or PLBs. Sarsat rescues for 2018. Infographic is courtesy of NOAA. “The same NOAA satellites, critical for our weather forecasts, also play a direct role in saving hundreds of lives each year,” said retired Navy Rear Admiral Tim Gallaudet, Ph.D., assistant secretary of commerce for oceans and atmosphere and acting under secretary of commerce for oceans and atmosphere. 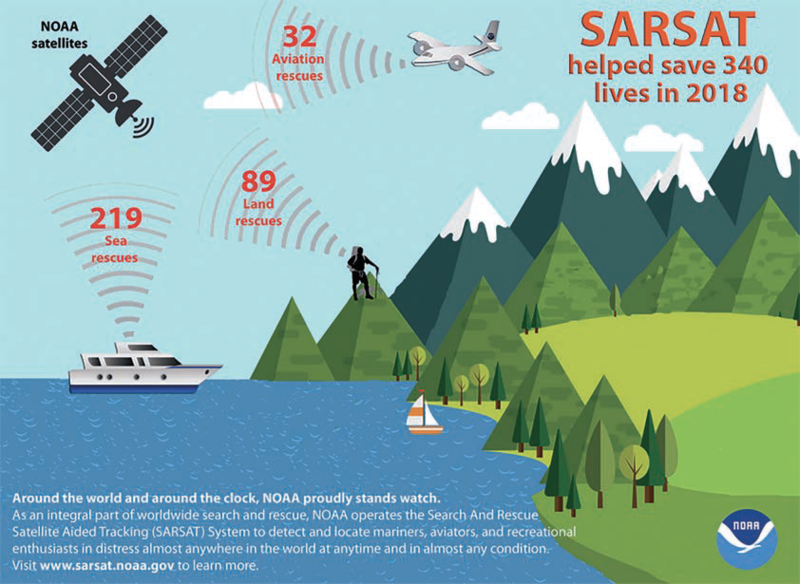 Since the program’s inception in 1982, COSPAS-SARSAT has been credited with supporting more than 43,000 rescues worldwide, including nearly 8,700 in the United States and the nation’s surrounding waters. Beacon owners are required to register their devices online with NOAA. The registration information often helps provide better and faster assistance to people in distress, and can guard against false alarms. The beacon may also provide information about the location of the emergency and what type of help may be needed. 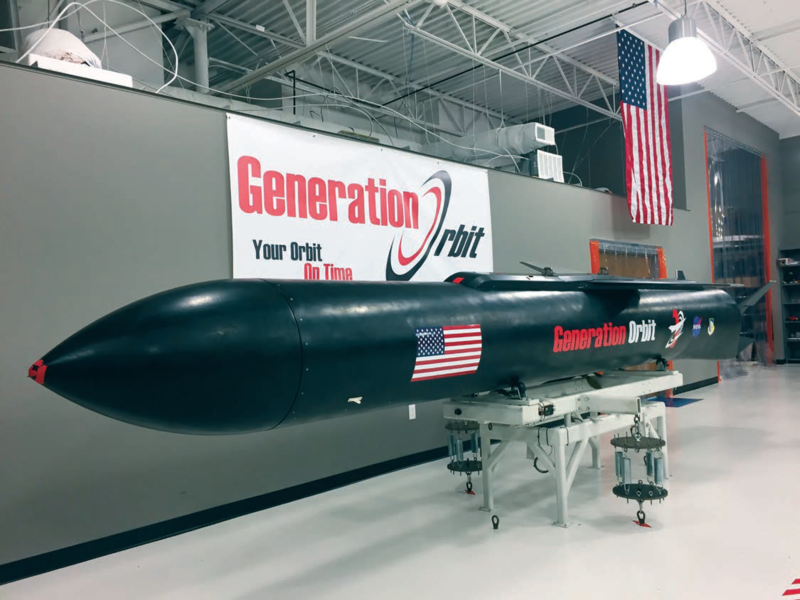 The Air Force Research Laboratory (AFRL), Aerospace Systems Directorate, High Speed Systems Division, in partnership with Generation Orbit Launch Services, Inc., is developing the X-60A vehicle. This is an air-dropped liquid rocket specifically designed for hypersonic flight research. The X-60A program has now completed the Critical Design Review (CDR), a major program milestone that now moves into the fabrication phase. The initial flight of the vehicle, scheduled in about a year, is based out of Cecil Spaceport in Jacksonville, Florida. A key part of the X-60A program is that the U.S. Federal Aviation Administration-licensed Cecil Spaceport provides a diversification in hypersonic flight testing to traditional Department of Defense (DoD) flight test ranges. Additionally, this is the first Air Force Small Business Innovative Research (SBIR) program to receive an experimental “X” designation, in a long line of historical X-planes that includes hypersonic vehicles such as the X-15 and X-51A. 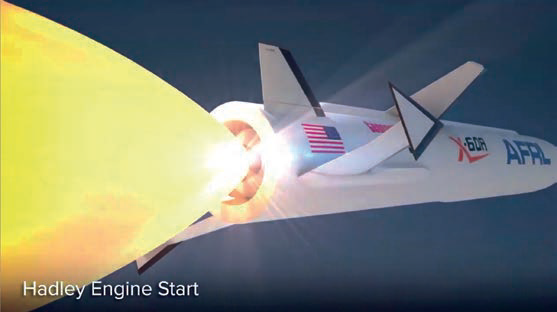 AFRL’s motivation for the X-60A program is to increase the frequency of flight testing while lowering the cost of maturing hypersonic technologies in relevant flight conditions. While hypersonic ground test facilities are vital in technology development, the agency must also test those technologies with actual hypersonic flight conditions. The X-60A rocket vehicle propulsion system is the Hadley liquid rocket engine, which uses liquid oxygen and kerosene propellants. The system is designed to provide affordable and regular access to high dynamic pressure flight conditions above Mach 5.